This authentic Alpine Galangal (Alpinia officinarum), also known as "lesser galangal," is a plant in the ginger family and is cultivated in southeast Asia. These are sliced roots or rhizome. 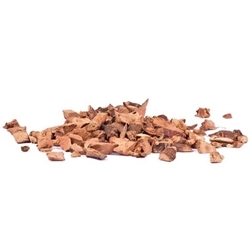 When burned as an incense the combination of Alpine Galangal and Alpine Tumeric is thought to create a pleasant atmosphere. Many Tibetan incense formulas still use Galanga, especially in formulas to create an atmosphere suitable for contemplation. Our Alpinia officinarum is grown high in the Himalayan mountains, hence the name, "Alpine." This authentic Galangal Alpinia officinarumis also known as lesser galangal. These are sliced roots or rhizome. When burned as an incense the combination of Galanga and Alpine Tumeric is thought to create a pleasant atmosphere. Many Tibetan incense formulas still use Galanga, especially in formulas to create an atmosphere suitable for contemplation. Our Alpinia officinarum is grown high in the Himalayan mountains, hence the name, Alpine. Aleister Crowley, the Englishman and famed occultist, spent years studying Raja yoga with mystics. Many of the interactions with them are not recorded in English. Raja yoga texts mention light-containing herbs and in Sanskrit, Turmeric and Galanga are clearly depicted in them. Crowley is said to have been deeply impressed by the Indo-Chinese influence on local people in Sikkim, the area where Galanga and Wild Turmeric are used extensively to this day. Chinese tradition offered the theory of yin and yang while the Indian yogic tradition offered the theory of light-containing herbs. It is common folk-knowledge in India and Burma that, in his time, Crowely promoted the biggest trade in light-containing herbs between India and England. The mystic practices he created and much of his work was destroyed (a few books exist) because he also wrote very controversial texts. Much of the information is common knowledge passed down in the old fashioned way; by tradition and word of mouth.